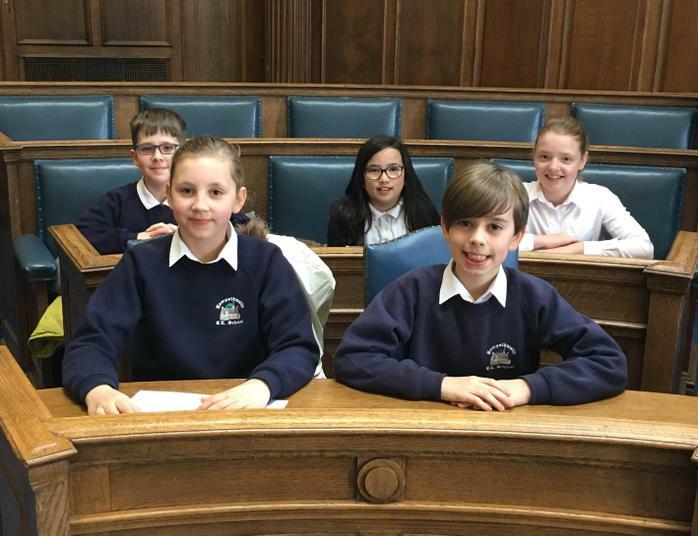 Congratulations to our Y5/6 team who showed superb debating skills at the Harrogate Council Chambers on Monday 20th March. Speaking for and against the subject of 'is Homework a waste of time? ', the team put forward excellent arguments. 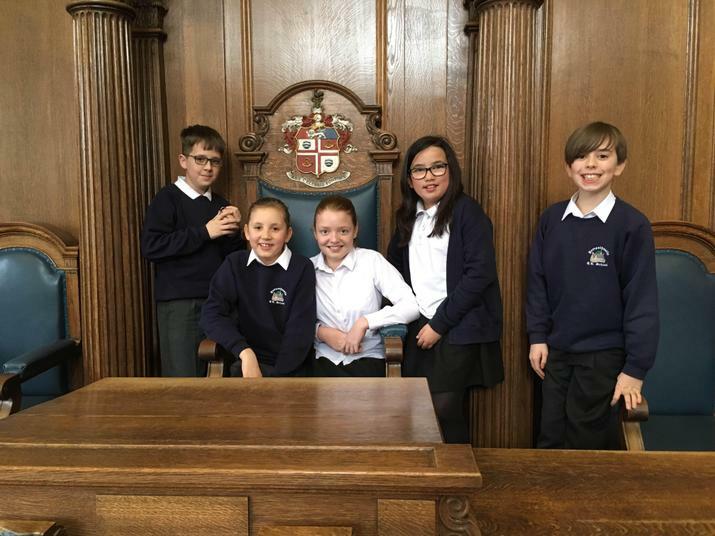 As well as giving their speeches, our team demonstrated brilliant listening and questioning skills, and engaged fully with the other teams throughout the competition. The decision from the judges was unanimous - Hampsthwaite were declared the winners! 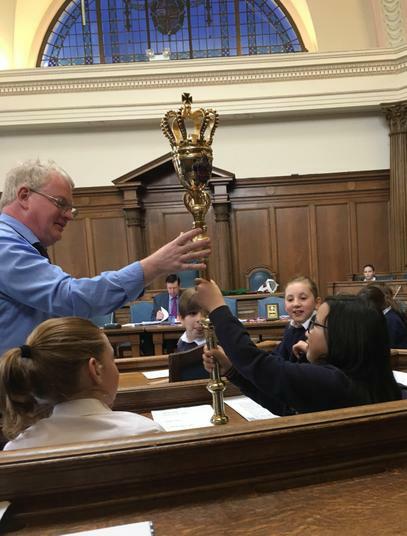 As well as our team will now going on to the county finals, we would like to invite the Mayor into school for a whole-school inter-house parliamentary-style debate at some point in the next few months. 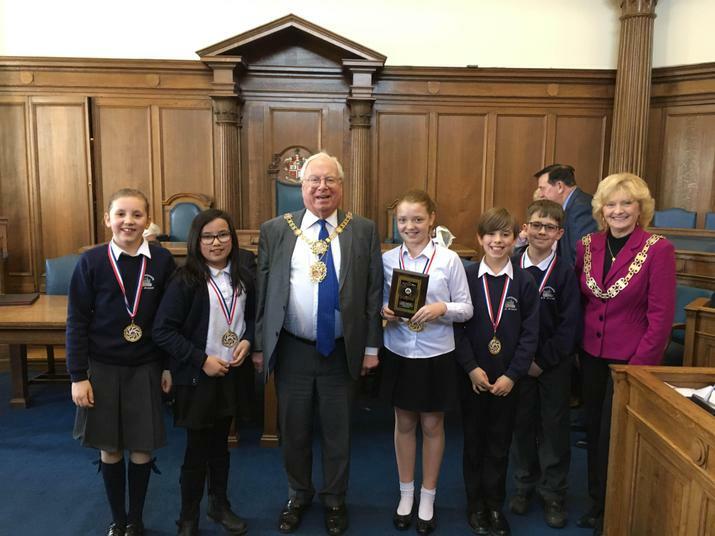 Very well done to Gabriel, Hattie, Isabella, Lalousha and Thomas, who all received a well-deserved personal gold medal each, along with a celebration plaque for the school. And a special well done to Hattie, who received a certificate for 'Best Girl Speaker' in the competition. We are incredibly proud of you all.